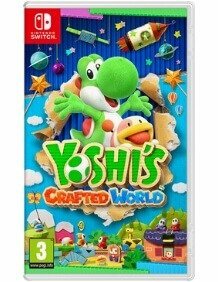 Lead Yoshi on a brand new adventure that will turn everything you’ve come to expect from side-scrolling games upside down. Explore a great, big world decorated like a miniature diorama in a new art style for the franchise, where each side-scrolling stage has the traditional front side as well as a flip side with different views and surprises. Look for items throughout the stage as Yoshi makes his way to the goal. You can even join up with a friend.